Doesn't just about everything seem more fun and whimsical with polka dots? 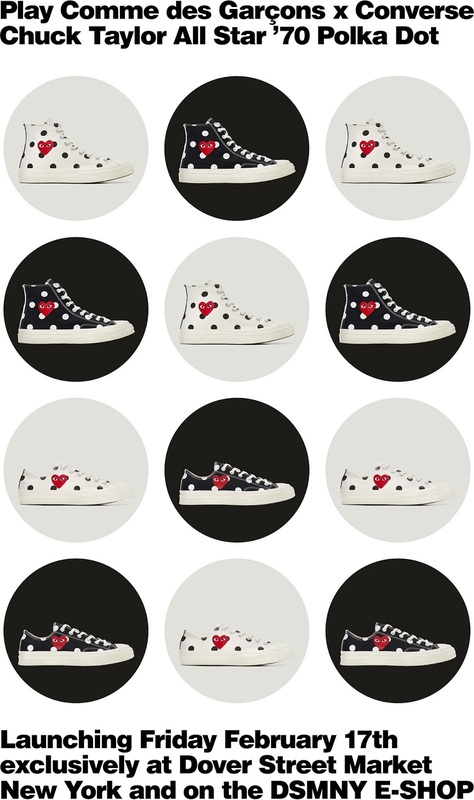 Play Commes des Garçons and Converse are releasing a four new versions to their cheeky collaboration. 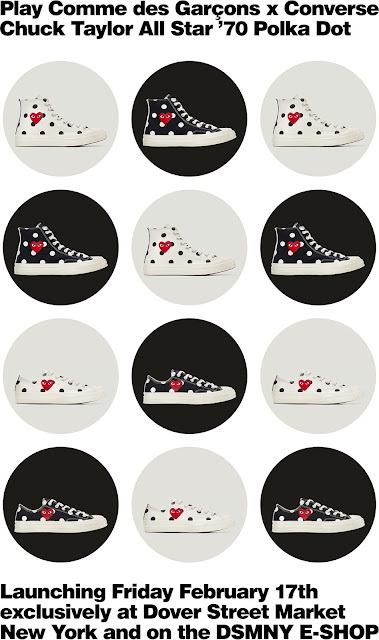 The Chuck Taylor High and Low Ox in Both black and white have been updated with polka dots and the iconic 'staring heart' is back in full glory again. This launches exclusively today at Dover Street Market in New York City and online at the DSMNY E-shop online.